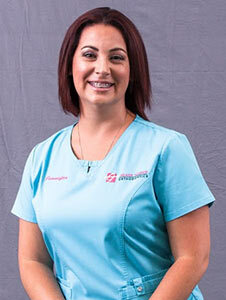 Erica is a front desk coordinator; she has been in the dental profession for over 8 years. She enjoys her profession because she sees the joy it brings to the patients who gain a beautiful smile. Erica was born and raised in Dallas, Texas. In her spare time, she likes to hang out with her family and read a good book. Sarah is one of our front desk coordinators. She is a 25-year-old mother of two. She is a native Houstonian who grew up at St. Vincent de Paul School and later went on to graduate from St. Agnes Academy. She is currently completing a Psychology degree at the University of Houston and plans to earn her Master’s degree in Sociology. When she is not working she enjoys trips to Colorado, Florida, and of course Galveston. Eva grew up in the Czech Republic where she got her Associate Degree in Administration. She then gathered over 6 years of experience in office coordination. Before getting the opportunity to move to Houston, she lived with her husband in Toronto, Canada. At Greater Houston Orthodontics, Eva is pleased to support the staff in order for them to focus on the patients and their comfort. During her spare time she enjoys to be creative and have an active life with her husband and dog. Jennifer has been a registered dental assistant since 2003. 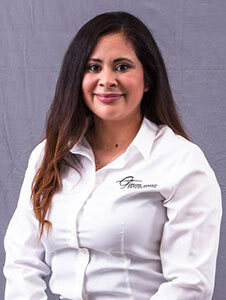 After 9 years of working in general dentistry, she decided to transition into orthodontics and joined the team at Greater Houston Orthodontics in 2012. Jennifer lives in Angleton, Texas and enjoys fishing with her two boys. Luisa is a fun loving and friendly woman who has been serving as a dental assistant at Greater Houston Orthodontics since 2004. Luisa brings laughter to work and is determined to be as positive as can be every single day. Luisa is a wife and loving mother of two. In her spare time Luisa likes to be with her family. Sabina grew up in Houston, Texas. 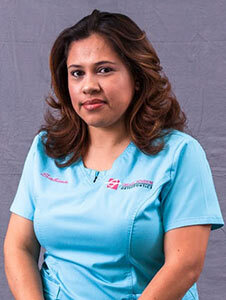 She has been a registered dental assistant through the Texas State Board of Dental Examiners since 2010. 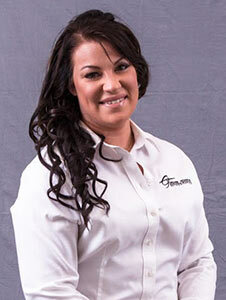 Sabina enjoys helping patients feel comfortable while achieving dental wellness and a great looking smile. She enjoys watching football and participating in sports with her kids. 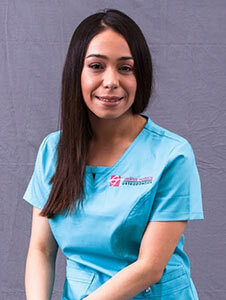 Mayra is a registered Dental Assistant and has been in the broad field of dentistry for 6 years. She recently relocated from South Texas to Houston to finish her degree at UH main campus and would later like to attend the UT Health School of Dentistry. 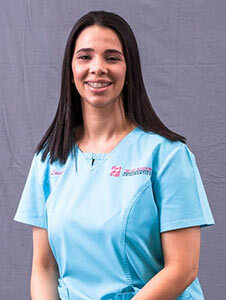 She believes in providing the highest quality and compassionate care to all her patients. On her off time she enjoys listening to music, photography, staying fit, weight training and spending time with family and friends.